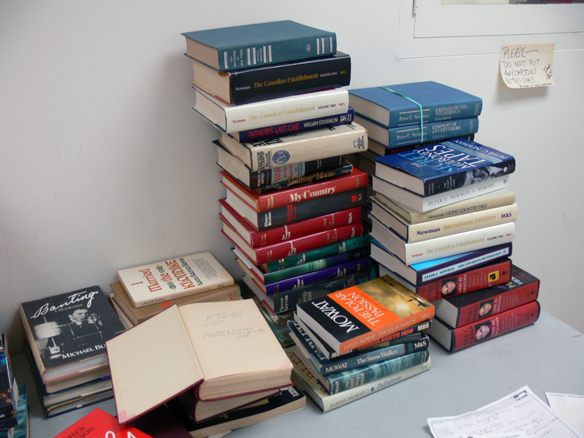 Behind the Scenesâ€”Where Do All These Books Come From? Although the annual book sale at Victoria College lasts only four days, by the time all the books and other treasures arrive on the tables to be eagerly inspected by countless book lovers, the preparation work takes place year-round. 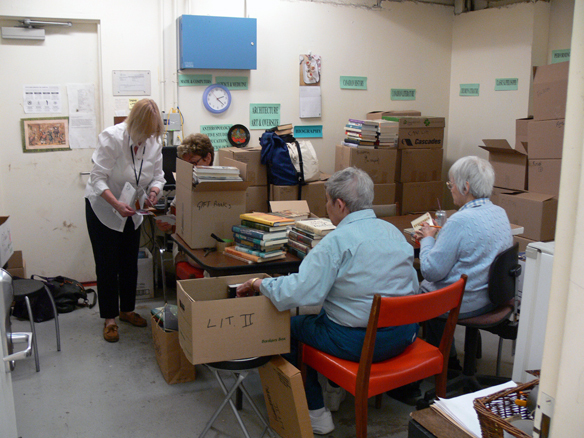 Friends of Victoria University Library gather together two days every week (and nearly every week of the year) to gather, sort, and price books. Our two workrooms, which include separate sorting and pricing areas, are located in the basement of E.J. Pratt Library. On average, there are between eight and ten volunteers preparing items for the sale. 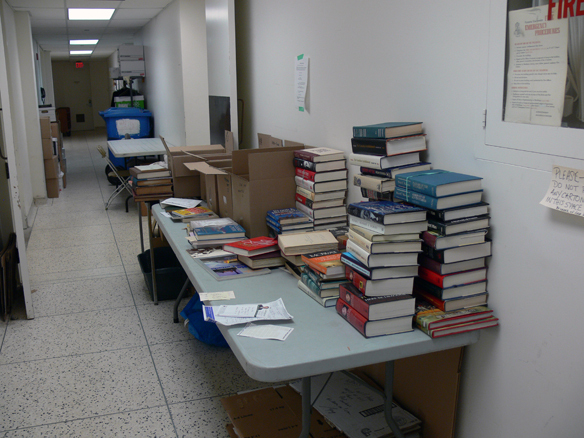 Donations make their way to us in various ways, but most donors drop off their books in the back entrance of the library. For part of the year (usually until August, which is when we start to get really busy), we also offer a pickup service from which we have gathered a number of rather amusing stories over the years. Aside from making sure that we have plenty of organized inventory, we also ensure that the details regarding the sale are circulating around the campus and the city. We advertise on various University of Toronto web sites, publications, and we also rely on the word of mouth to make sure that we reach all potential customers, and finally, our new blog! This entry was posted in Book Sale Prep by barc. Bookmark the permalink.